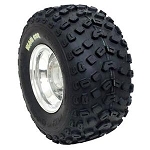 - Kenda Executioner ATV Tires are sold individually. 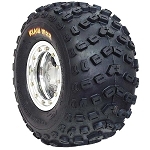 - Our Kenda ATV Tires generally ship out within 1 business day! 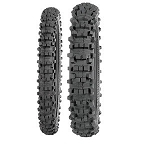 - Deep aggressive tread for off-road conditions. 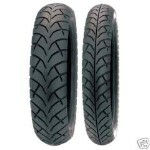 - Excellent heavy duty puncture resistant ATV tire! - Reinforced knobs to prevent knob roll even at low air pressure. - Deep rim protector side walls. Great tires. I put 25X8-12s on the front and 25X10-12s on the back of my 2003 Honda 500 Rubicon. These tires clean themselves from mud almost instantly. I was really worried that they would ride rough on hard pack, but they're smooth. Even on asphalt, they ride smoothly. They are a bit heavy, I noticed my acceleration decrease slightly, but I'm perfectly happy loosing a bit of acceleration for durability and piece of mind. These are a much more solid tire than the polaris OEM tires I had on there previously. You can feel how solid they are as soon as you start moving. Great tire for the price, tough as nails. Very happy with this purchase. ORDERED THESE TIRES FROM PURE OFFROAD AND THE'RE AMAZING. I WILL ORDER ANOTHER SET FOR MY SON'S ATV AS WELL. PURE OFFROAD DID AN OUTSTANDING JOB WITH MY RIMS/TIRES FROM ORDER TO DELIVERY! Mounted these Executioner tires on my 2006 kawasaki Prairie 700 and they are great. I can go places in 2wheel where I could not get thru in 4x. The staff at pure offroad are excellent Theyreally helped me make the right choice. shipping was unreal ordered on wed. had tires by fri. afternoon. 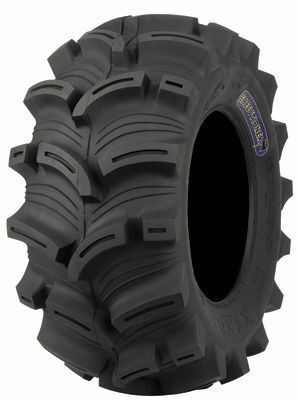 Just wanted to say I recently ordered a total of 4 Kenda executioner ATV tires. I am very pleased with the speed in which I got them on my doorstep (2 days). And I am overwhelmed by the quality of the tire as well as the performance in the mud! Very satisfied! I lived in the mountains of Northern Idaho where the snow got deep and the temperature was freezing. I installed these tires on my sportsman 500 to push snow I never needed to put on chains just a little weight. I can go almost anywhere. The tires were easy to install noticed a smoother ride and lots of inproved traction I love the tires and ss112 rims they work great on my Honda Rancher 420 THANKS PUREOFFROAD. Great Tires the pictures don't do them justice they are very aggressive. I figured they would be a rough ride but don't notice much at all! These tires are AWESOME! I'm able to go places in 2WD others (Friends with mudlites) are getting stuck in 4WD. There is some vibration at low speeds on hard pack but thumbing your nose at your buddy as you just drive through the hole and ruts that he just winch himself out of, makes it all worth it! I got a set of 26X10-12 for my 08 grizzly 700 I'm very happy! And my buddies are all Jealous - and covered in mud! A: Hi, yes they would fit on your machine if you have aftermarket rims that have a wider offset. If you are using your factory rims they will not work because they will rub on the inside. Most people run 27 inch tires on that machine without a clutch kit but it wouldn't hurt to add one. Yes you will notice some power loss on the bottom end. If it's enough to bother you I would recommend the clutch kit. Which we also carry. let us know! Q: How do the 27’s run are they true 27 or over or under 27”? A: Like most tires, these are undersized by about 1/2 - 1 inch short.